Anyone, ages 8 to 14, may participate in the Shining Lights fine-arts program. Friends are welcome. Each day, participants will receive guidance and instruction from experienced Trinity English staff and volunteers in the areas of music, movement, and drama. Shining Lights runs from 8:30 a.m. to 1:15 p.m., Monday, June 24, through Friday, June 28, 2019, with a performance at 7 p.m. on Friday, June 28. WHAT MUSICAL WILL BE REHEARSED AND PERFORMED? A Technicolor Promise. Everyone loves a rainbow! It is a wonder of creation, radiating beauty after a rain. More important, as the sign of the covenant, it reminds us of God's overwhelming love & grace. 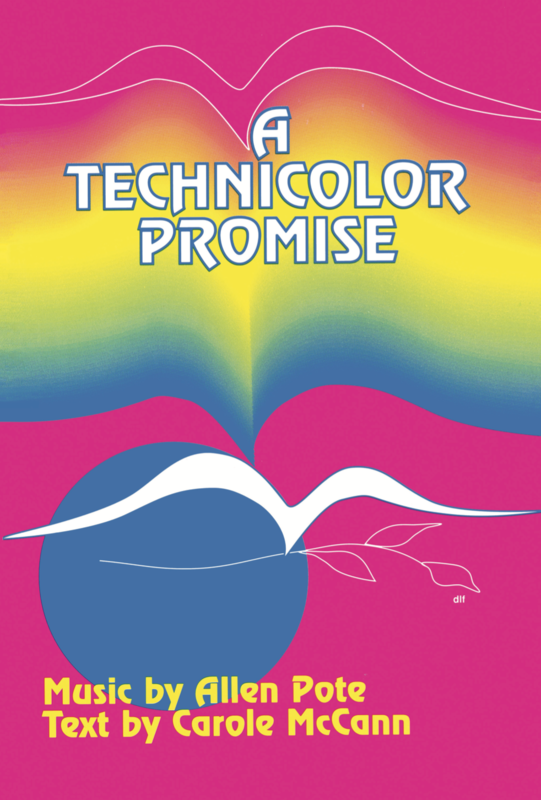 Through appealing music and drama, A Technicolor Promise recounts (sometimes in a very funny way way) the events surrounding God's promise. WHAT ROLES WILL PARTICIPANTS PLAY IN THE MUSICAL? Yes. The cost to participate in the Shining Lights Summer Arts program is just $25 per person. This fee will help pay for daily snacks, lunches and for the tee-shirt each participant receives. Please note: Scholarships are available. Contact Bob Hobby to request one by calling 260.426.3424 or you can send an e-mail note to RHobby@TrinityEnglish.org.